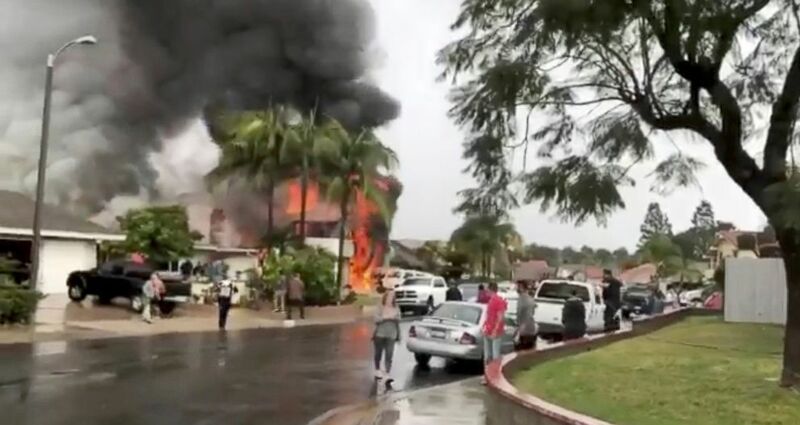 YORBA LINDA, Calif. (ABC News) — A man alone in a small plane when it crashed into a Southern California house had false Chicago Police Department credentials on him at the time, officials said Tuesday. 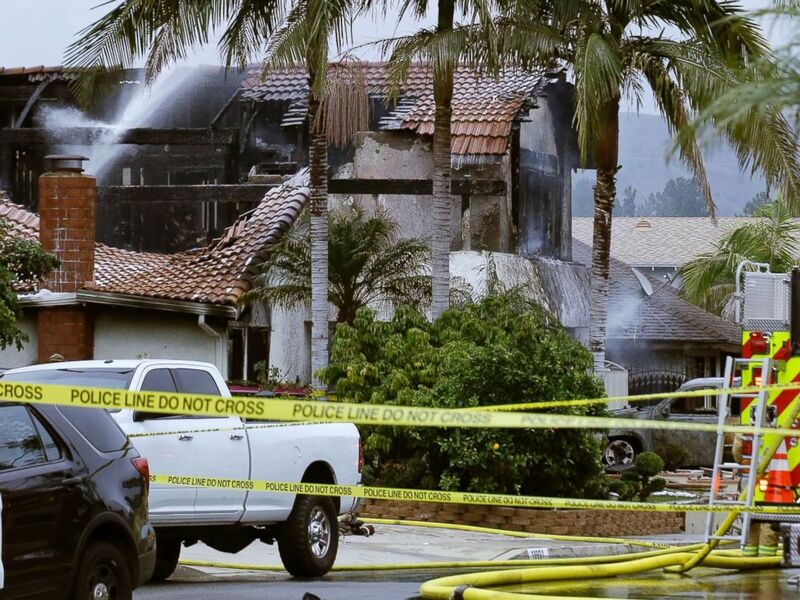 The pilot, Antonio Pastini, 75, was killed in the Sunday crash , along with four people in their Yorba Linda home. After officials from the Orange County Sheriff's Office announced Monday that Pastini was a retired Chicago police officer, the Chicago Police Department told investigators that Pastini was never an officer there, the sheriff's department said. It was not immediately clear why Pastini was carrying false police credentials, officials said, adding that Pastini's FAA pilot's license is believed to be accurate. 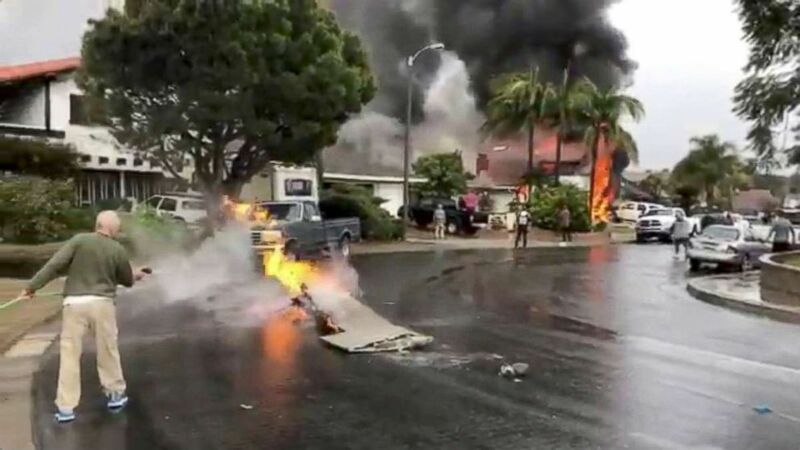 The Cessna 414A crashed about 10 minutes after taking off from the Fullerton Municipal Airport, National Transportation Safety Board (NTSB) investigator Maja Smith said Monday. Residents in the area began to panic around 1:45 p.m. when the small plane appeared to break apart midair, scattering debris across the neighborhood, authorities said. Two people suffered unspecified injuries, officials said. Witnesses saw the airplane come out of a cloud at a high speed before the tail and the wings broke off, officials said. 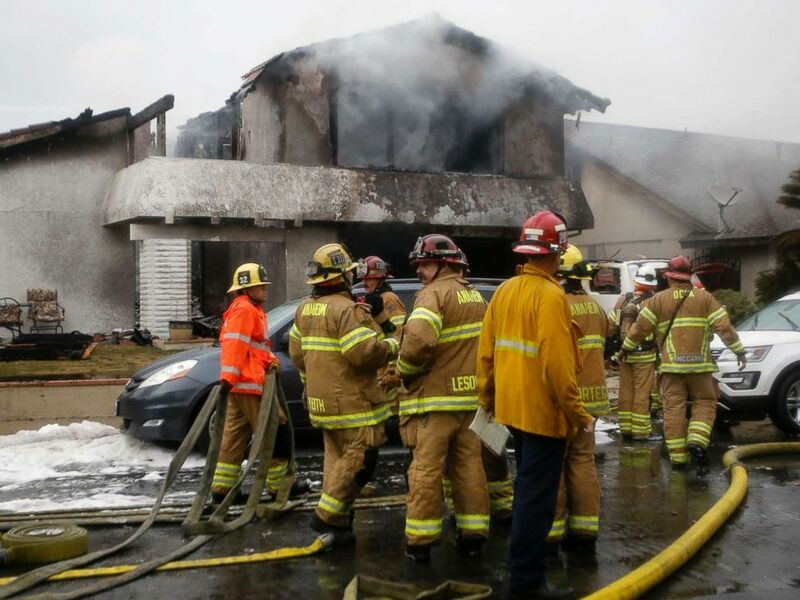 Witnesses then saw smoke before a piece of the aircraft struck the home in a fiery crash. The debris of the crash covered about four blocks, Smith said. 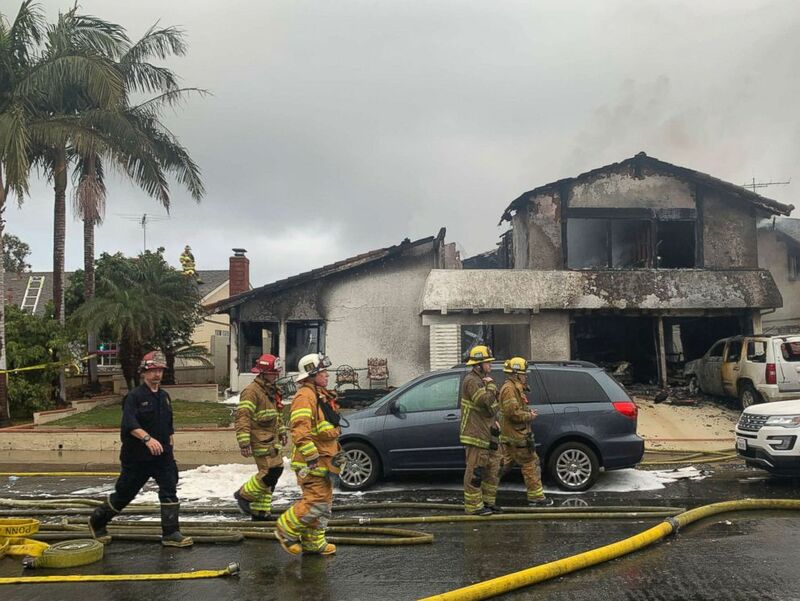 The coroner is still working to identify the four people who died in the home and DNA may have to be used, Orange County Sheriff's Lt. Cory Martino said at a Monday news conference. "It sounded like something exploded. It shook our house," Yorba Linda resident John Wolbart told The Associated Press. Yorba Linda is located about 36 miles southeast of Los Angeles. Clint Langford, a neighbor, recalled hearing a low rumbling sound that got louder and louder right before the crash. "It was scary," Langford told the AP. "And then all of a sudden -- boom. It shook the house."